Why live in a plastic bottle house? Average humans can consume 15 or more products packed in PET single use plastic a month. If you were born after 1978, and live until 80 years old, you will leave behind a minimum of 14,400 plastic packaging on this planet. This plastic take hundreds of years to break down into tiny pieces of plastic, never to completely disappear. Most of the waste is consumed by fish and birds, which has shortened their lifespans greatly. If you live in a plastic bottle house of 100 square meters, then your house will be built reusing 14,000 plastic bottles. These up cycled bottles could neutralize the negative effect of your passage on this planet, and move closer to leaving only your "footprints". *Did you know that every time you wash polyester clothes in your washing machine, that millions of fibers are sent in our oceans? The re-use of the PET bottles in construction, without any transformation ( up cycling ) avoid the need to recycle the PET into clothes, therefore protecting the sea life! The Plastic Bottle Village is an eco-residential community set into the heart of the islands, jungle interior. You can have your own property in Paradise here in the Plastic Bottle Village of Bocas Del Toro, Panama. Having your own property while helping Robert funding Plastic Bottle Village, is an excellent way to invest, and make the World a better place. The Village is designed to co-exist with nature, and the lush tropical jungle. The community is located on some of Isla Colon’s most prime real estate. Residents of this exclusive community will be ensured positive R.O.I on their home/land purchase, while doing their part to change the world in a positive direction. 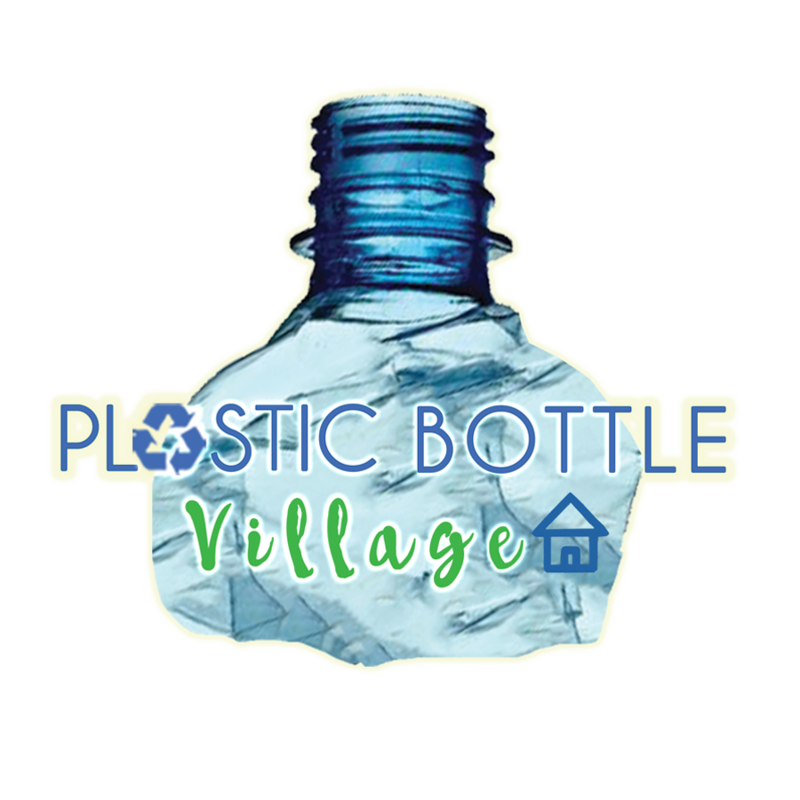 At Plastic Bottle Village, we inspire to bring together a collective of minds and bodies, to work together to create awareness, and to take part in educating the world, to the positive effects of re-using Eco building materials. The Village is home to revolutionary techniques in Eco-building, and utilizes up-cycled plastic bottles as its main insulation inside of its concrete walls. This style of home building takes a green approach and the owners of the properties will share a conscious, earth friendly shift in their way of living. A house of 100 sq.mt can up-cycle up to 16,000 PET bottles. We will be living inside what we have consumed and thrown away, and will re-construct those materials into modern, stylish, and quality built residencies. The homes are also earthquake resistant, and very cool in temperature, so there is no need for air conditioning. This will aid in conserving energy for The Village, which is a solar friendly community. 46 beautiful lots available, located on a 33 hec. titled property. Accessible by road and by sea, this magnificent property is on the main island of Isla Colon, 5 minutes by car to the airport, hospital, and town. Prices starting at US $19,000 for a 800 sq.mt.lot, located in the jungle with monkeys, tropical birds, parrots, toucans, and many others. DON’T MISS THIS LIFETIME OPPORTUNITY TO HAVE YOUR OWN PROPERTY IN PLASTIC BOTTLE VILLAGE PANAMA. $1,000 down payment, balance payable in 84 monthly payments of $270.00. Busy schedule and cannot travel? We can represent you at the Public Notary, and send you the original documents by courier. You can come and build your home, or we can build it for you. The homes in the Plastic Bottle Village are constructed, or as they like to say “re-constructed” out of up cycled plastic bottles. See below BEFORE & AFTER pictures that will give you a better understanding of the Eco building concept.